The National Youth Service Corps (NYSC), says it will review the Memorandum of Understanding (MoU) it signed with INEC to ensure better protection of corps members during elections. NYSC Director-General Brig.-Gen. Johnson Olawumi, dislosed this on in Abuja when INEC Chairman, Prof. Mahmood Yakubu, paid a condolence visit. Yakubu visited Olawumi to commiserate with the scheme on the death of Mr Okonta Samuel, who was killed by gunmen during the Rivers re-run elections on Saturday. 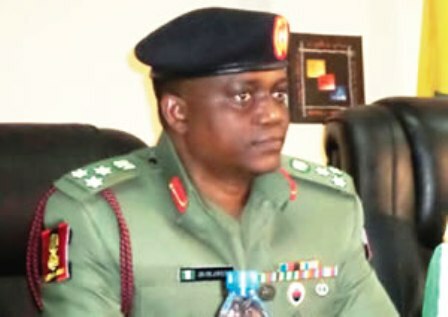 He said that the NYSC had set up a panel of inquiry to investigate the killing. The DG said that since 2011, the scheme has been doing all that needs to be done in collaboration with INEC to ensure the safety and security of corps members. He discribed the incidence as “very unfortunate”. Olawumi mentioned that in the past, over 6,000 corps members have taken part in turbulent elections in Edo, Anambra, Kogi, Ekiti, and Osun states, and no one was lost. He pointed out that about 134,000 corps members took part in the 2015 elections; 5,000 took part in the Bayelsa election while over 6,888 took part in the Rivers re-run elections. While commending security agencies for their role in ensuring the protection of corps members, the DG said that the NYSC would review security arrangements to forestall future occurrence. He said that as leaders, politicians must conduct themselves properly and hold life as sacred. Earlier in his comments, Chairman INEC pledged that the commission would participate in honouring the deceased and other corps members who might suffer from any form of injury in the cause of participating in election duty. He said nothing justifies the cold blooded murder of an innocent official conducting a legitimate national assignment and that no political grievances could warrant that kind of act. He said that the commission was glad to note that another corps member, Anana Udoetor, who was declared missing during the elections, was found alive, hale and hearty but understandably traumatised. According to him, NYSC and INEC have been in this “happy partnership’’ which has tremendously helped in the conduct of our elections. He said lost of a corp member in the cause of national assignment is a tragedy and monumental national loss. Prof. Yakubu promised that the commission would offer employment to an ex-corps member who lost his eye sight as a result of injuries sustained in the cause of conducting the 2011 general elections and would also be deployed to any INEC state or local government office of his choice.